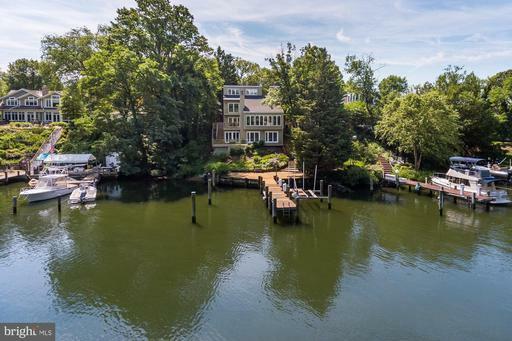 This exclusive waterfront, one of the finest in Annapolis, is located in the lush Melvin Road enclave where Little Aberdeen Creek branches off the South River. The spectacular, custom-built Maryland Manor House is sited perfectly on 7.9 acres of one of the most prominent points of land on Melvin Road. Designed by the notable architect, Scarlett Breeding, and built by West River Builders, Silver Maple Manor offers timeless features and a lifestyle unlike any other. 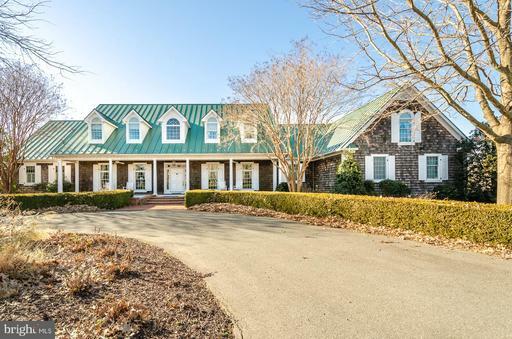 beautiful tailored gardens, a heated in ground salt-water pool, a pool house, covered screen porch, three 3 stall barn, ample acreage for horses, fields, three 3 deep water piers and a Yachtsman~s dream boathouse on the protected Little Aberdeen Creek. A perfect spot to enjoy all the magical seasons of living on the South River. You know you~ve arrived once you turn onto the graceful, winding driveway, lined with Silver Maples. Flowering azaleas, and ornamental grasses overflow from the gardens. The estate~s crisp white facade quickly comes into view~just as the verdant landscaping provides a natural camouflage and ensures total privacy for your weekend - or full time - escape. Perfect for holiday celebrations, weekend house parties, and all types of celebrations, the Manor was designed for entertaining on a large scale. The gracious proportions of rooms, its elliptical Great Lawn perched by the waters edge; a stunning screened porch and the lovely outdoor dining area offer an easy flow for dozens or even hundreds of guests. And this quiet sanctuary offers surprisingly close proximately to DC and Baltimore and an easy 3.4 miles drive to downtown Annapolis. 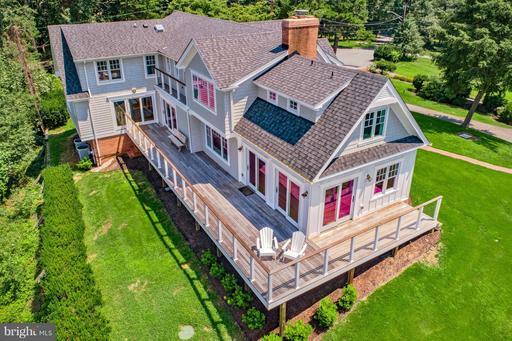 Sited on 1.7 acres on prestigious Melvin Point with incredible water views and 360 ft of water frontage and southwest exposure, pier, heated pool, tree house, 2 outdoor showers fire pit for year-round retreat living. Living space maximizes expansive sightlines; sleek custom cabinetry, Gourmand~s kitchen, wet bar, main level master suite, sunroom, motor court with 6 garages Observation Tower. A rare opportunity! 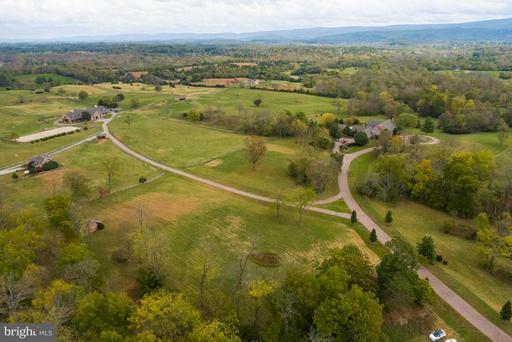 Red Bud Point is an impressive private estate located on prestigious Cumberstone Road. 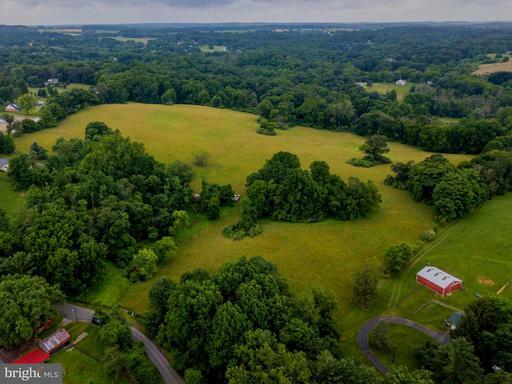 Situated on a secluded peninsula off the West River, these spectacular 20+acres are surrounded in perpetuity by the Smithsonian Environmental Research Center. Anything but typical, Red Bud Point is a true nature lovers paradise offering outdoor recreation, water sports and tranquil trails with abundant wildlife and native floral and fauna. Red Bud Point boasts an exceptional residence featuring 10,000+ sq ft of distinctive quality craftsmanship and detailed appointments including custom materials and systems. Come experience Red Bud Point and turn this rare offering into your own legacy property. NEW LISTING! 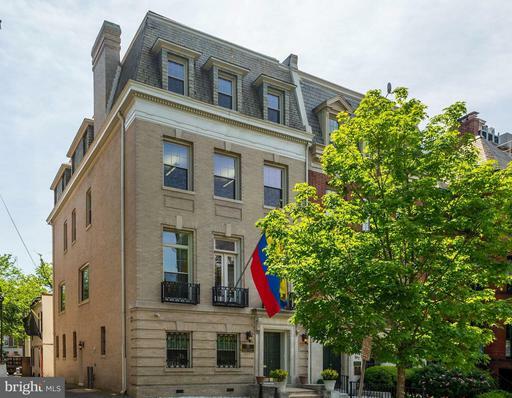 Penthouse jewel that spans the entire Connecticut Avenue side of 2029 Connecticut evokes the apex of Parisian elegance: beautifully high ceilings, fine plaster moldings, luxuriously proportioned rooms and hardwood floors. Monument views from the south side, and Cathedral views from the west and north. Almost 20 foyer, with two coat closets, and a 42 x 12.5 stunning gallery that opens to the living room, formal dining room, library, master suite wing and guest suites. The living room and library feature fireplaces plus a discreet wet bar tucked into the library. The newer eat-in kitchen has a chefs Wolf range, Subzero fridge and walk-in pantry. Open to the kitchen is a family room or 5th bedroom, currently used as a studio. The formal dining room easily seats 16-20, and the adjacent gallery can accommodate another 40 guests for a sit-down dinner. There is a catering kitchen/bonus room with its own entrance. The master suite wing has 2 corner bedrooms one currently used as a fully built-out office, and 2 baths. 2-3 additional bedrooms and 2 additional baths complete this fine offering. Nothing else like it in town! Huge Price Reduction! 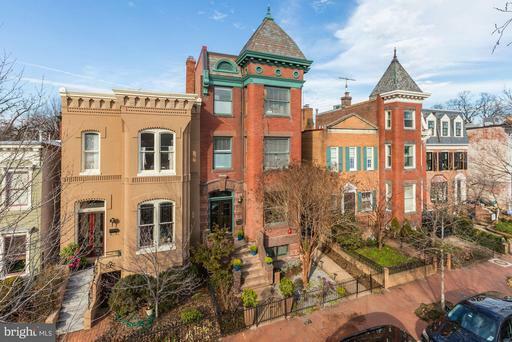 Strategic location, Heart of Cap Hill Historic District, Commercially Zoned 4 level TH across Historic Eastern Market. Mixed Use-Retail,entry level1st/2nd floors 3rd fl.retail office: 4th fl, 2 resid. loft 1 BR 11/2 BA apt. with exterior decks. 2 pkg rear. Delivered VACANT 1 apt stays. GBA 9939SF, per DC OTR. Value add for Investors or Non-profit, lobbyists, restaurants. 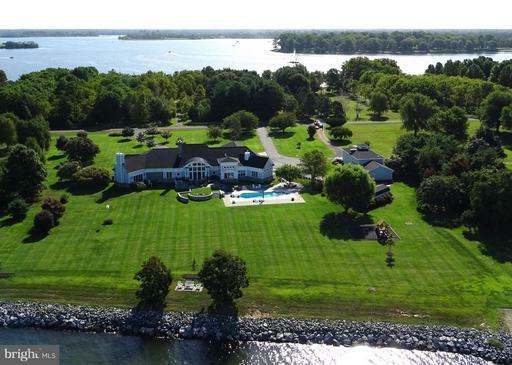 Elegant, private waterfront estate on 177+ acre peninsula w/ commanding views of the surrounding farm bay. Completely renovated 5500+ sqft 1870s farmhouse w/ major addition. 1 bed cottage on the water. Widows walk, pool/hot tub, tennis, pier, barn, dry boat house, ponds much more. 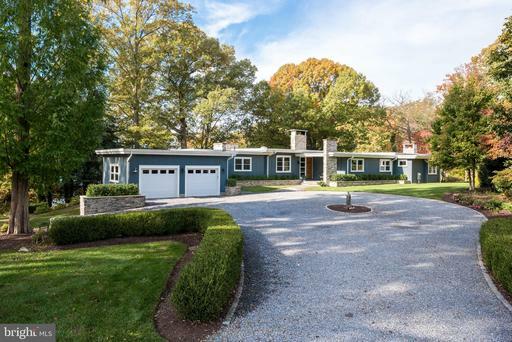 Private/remote but close to Mid-Atlantic metro. Four contiguous waterfront lots w separate tax IDs. Millwood Equestrian Estate; 111.89 acres; +9,650sf for manor, 11,170sf horse stable + more. **Appointment only** Per owner request....Listing agent must be present to show/gain access.Please click on VIDEO TAB for additional pictures/drone video. 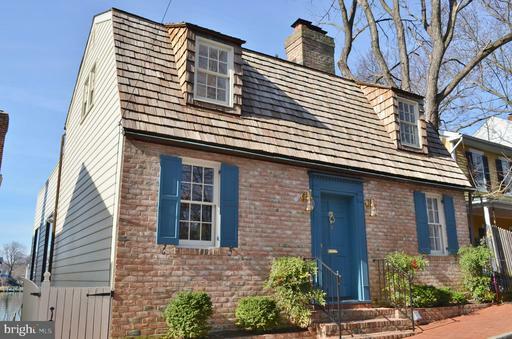 Elegant, renovated manse w/4-6 off-street parking spaces. Formerly used as office space, its move-in ready. Approx 5,500SF on 4 lvls. Grand, wide staircase is capped by a large skylight, illuminating the property w/sunlight. Wood floors throughout upper lvls; kitchenette, baths fireplace on each level. The property could easily be transformed into a grand residence.Location! Highly coveted Harbour Place. TOTAL interior renovation by Scarlett Breeding Pyramid Builders in 2012. Exterior renovation in 2014. 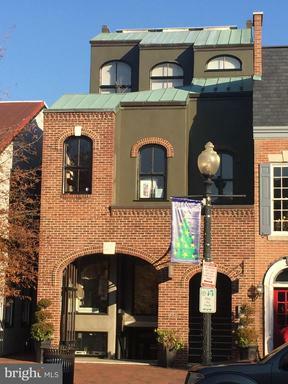 Dont miss the BEST view in Annapolis. Enjoy views of DTA the Naval Academy every day. 50 Ft Deep Water Slip + dock for smaller boats outside the door. 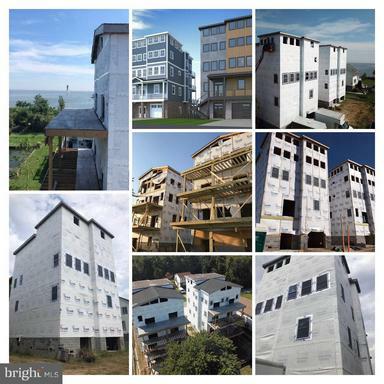 High end finishes with extras like sound proof insulation hurricane grade windows. Available furnished or unfurnished. 3D tour, video and floor plans available at www.306FirstStreet.com. 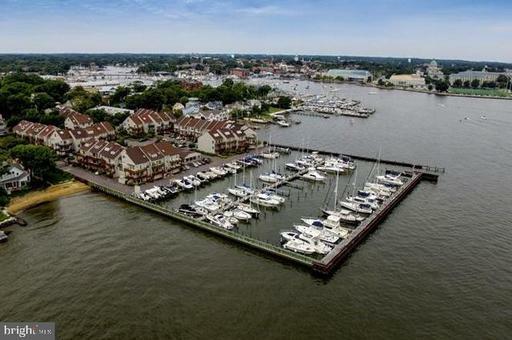 One of the finest Annapolis waterfront locations! 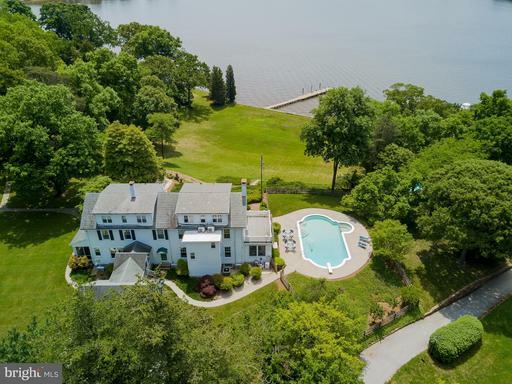 Stunning 1.22 acre site on private Melvin Point with magnificent panoramic views of the South River and 322 feet of water frontage, extensive rip-wrap, in-ground swimming pool, and hot tub that overlooks the river. Enjoy the water from the private 110~ pier.Rare opportunity to complete renovation on prestigious street. Seller began renovation in 2018 found another home but installed 1 New Marvin windows 2 New Tamko heritage laminated roof 3 New downspouts gutters 4Exterior house trim painted, 5 Replaced HVAC system with 2 zone Trane Equipment 6 Recent IPE deck 7 Dock steps and pier were power washed, prepped resealed. House, pool property sold "As Is". Schedule showings through CSS. *Private Road* Do not drive by without an appointment. 22662 Creighton Farms Drive is a remarkable residence that is perfectly situated on a spectacular lot that is comprised of 8 Bedrooms, 7 Full Baths, 3 Half Baths, and an attached 3-Car Garage, plus breezeway to an additional 2 car garage. 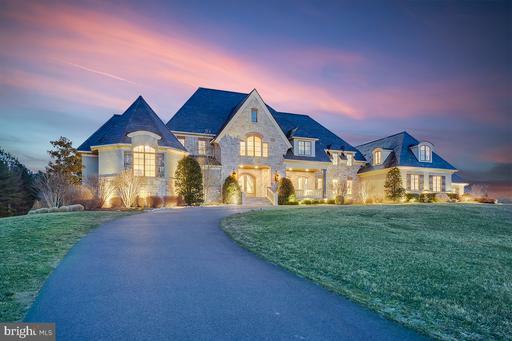 This peaceful, estate-like home rests on 3.32 acres in Leesburg VA and features exceptional living spaces and a fantastic location minutes to Ashburn and the future Silver Line Metro. This home showcases elegance with its oversized windows, intricate millwork and moldings, and well-proportioned rooms. Warm and inviting, the wide Foyer reveals views that span from the front door to the rear Patio. Natural light touches every room and transforms this home into a serene estate nestled amongst Creighton Farms World Class Golf Course. Off of the Foyer to the left is an art gallery and music room. 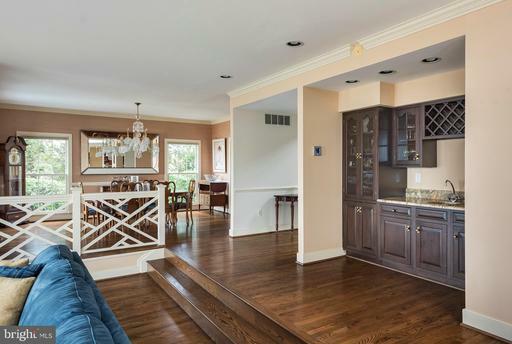 To the right off the foyer is a light filled hall leading to the dining room with a wet bar and wine rack. Through the Foyer, there is a spacious Family Room with a fireplace, and access to the rear Patio. The main level Master Bedroom is fit for a King, private balcony and fireplace with a walk-through from the balcony to your own private office. His and Hers Walk-in closets with custom built in shelving and spa like luxury bath. Spacious and well-designed, the Kitchen is outfitted with nearly everything that any Chef would desire. Off the Kitchen is a Gathering room with large open Fireplace and a Kids study work space. The Upper Level sequesters 4 Bedrooms and 5 Full Baths, all versatile enough to be used as Private Bedrooms, Guest Rooms, an Au-Pair/In-Law Suite, or a secluded upper level workspace. The Second Level Master Suite encompasses a large play area in what used to be an attic space and luxury Master Bath. An extensive second level Family Room is convenient and offers lovely views of the butterfly staircase and gold course. There is also a loft, wet bar area and craft room over the garage that could be used as another bedroom. The lower level offers 2 additional bedrooms, 1 Full Bathroom, 1 Half Bathroom, Gym, Sport Court, Finished Office that can be converted into a caters kitchen, Media Room, large recreation room with Fire Place and Full Bar with Dishwasher. Large Stone Patios Round out both the lower level and main level for the finest outdoor entertaining. 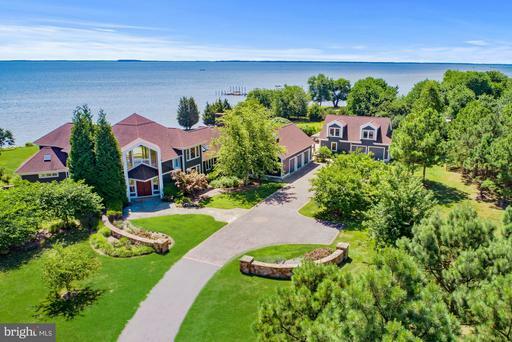 Stunning estate minutes to the Chesapeake Bay Bridge. Attention to detail found at every turn. Over 5 acres on Eastern Bay with beautiful sunsets and waterviews every where.Master suite with his and hers closets, fireplace and walk out to private patio. Three additional bedrooms with ensuite baths. 8 seat home theater with private bath and bar area. Gourmet kitchen with large island and butler pantries. Smart home system, geothermal HVAC system, and many more upgrades. Full basement with lots of storage. Three car attached garage AND a large detached garage with space for numerous cars, an RV or boats.Two deeded deep water slips on the Wye River on the community pier- just minutes from the house.This is what living on the Eastern Shore is all about. 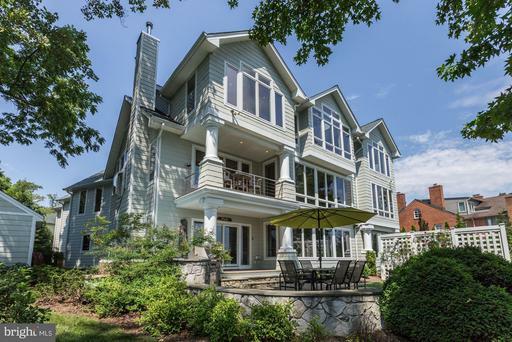 Fantastic Wardour Bluffs location on the Severn River. 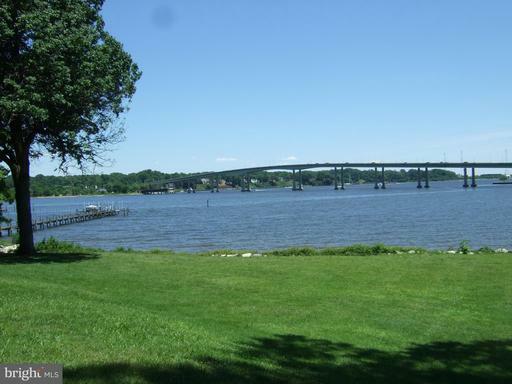 1.6 acres, 244 of River Frontage, deep water pier and big River views. Estate Sale strictly "AS-IS" value in the land. Build your dream home here with rolling lawn to the waters edge and South East exposure. Annapolis waterfront living at its best. HOA non-mandatory. Beautifully Renovated and Expanded Home nestled on a private 2.99 acre waterfront lot. 350 feet of water frontage in a Picturesque Park-like Setting. ONE OF A KIND home and property with top of the line appliances, finishes and much much more. 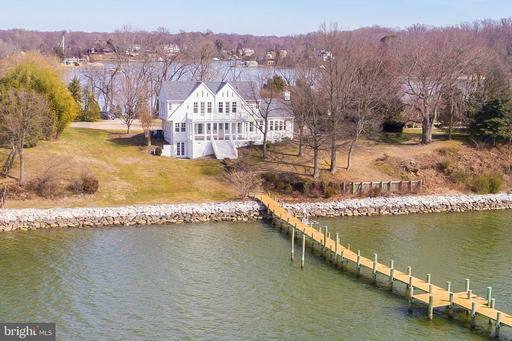 Whitehall Creek is minutes from downtown Annapolis by boat or car.Spectacular Setting, Thoughtfully Designed.Life is special on Whitehall Cove. This enchanting home welcomes you immediately instills a feeling of warmth serenity with light filled living areas. Water front living on one level. Great water views and private deep-water dockage on Whitehall Creek. Designer kitchen showcases custom cabinetry and best in class appliances with colossal island. Sumptuous master suite with incredible views, romantic fireplace and spa like bath. Property includes a large outbuilding, perfect for a workshop.Completely renovated from stem to stern to with longevity in mind. Seamlessly updated in 2010 to expand upon an iconic Modernist design. The results are cohesive, quality materials and workmanship executed with utmost attention to detail. Perfectly sited to enjoy southwest exposure sunsets and waterfront views of Whitehall Creek. Privacy in a quiet natural wildlife habitat with an abundance of blue herons and ospreys. Horse and grass farms border the drive. The open floor plan provides fantastic flow between rooms, and to the wraparound IPE decking, making this home an entertainers~ dream. Elegant spacious home with commanding views of the South River and waterside pool deep water pier located on private site in Wild Rose Shores. Water views from most rooms! Master suite with sunroom, private deck and office. Finished lower level with second kitchen, 4th Bedroom or recreation room exercise space. Circular driveway and 2 car garage with unfinished space above. 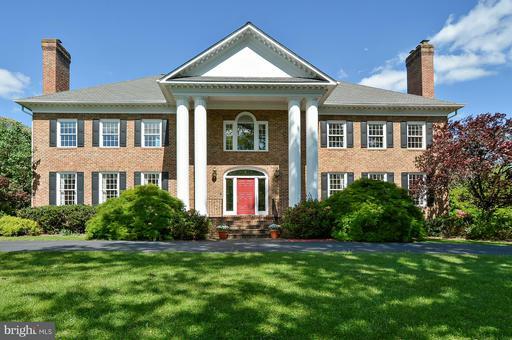 Welcome to 28480 Granville, where timeless elegance meets quintessential Eastern Shore living. Located in a quiet enclave of waterfront estates, offering the perfect combination of privacy and the peace and mind of having neighbors. This magnificent home has all the features one would expect and desire, including 2 master suites including one on the main level with beautiful water views, a gourmet chefs kitchen, gorgeous hardwood flooring including 100 year old pine on the main level, a spectacular sunroom thats perfect for summer crab feasts, front and rear porches for relaxing in your rocking chair whether sunset or sundown, and even a separate guest/in law wing w/elevator. 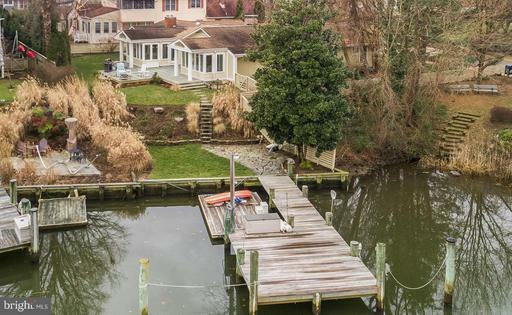 Throw in the in-ground swimming pool and detached pool house with full bath, and one can see why this is a considered an Eastern Shore classic. But what is living on the Shore without water access? 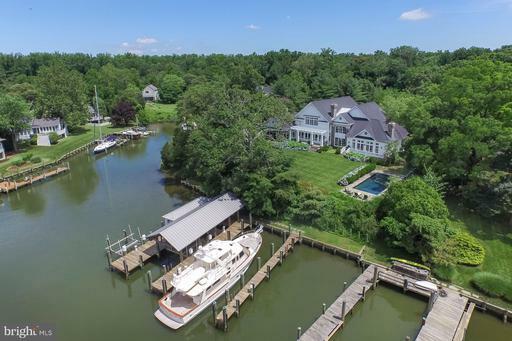 How about your own dock with multiple slips on calm Latrappe Creek, with water depths of 4+ feet, providing quick and easy access to the Choptank River and onto the Chesapeake Bay? And with over 500 feet of private shoreline , your views go on, and on, and on. Come see this magnificent home today and make it yours...your Eastern Shore lifestyle awaits! GORGEOUS WOODED 3/4 AC LOT ACROSS FROM ROCK CREEK PARK! DIPLOMATIC CALIBER RESIDENCE DESIGNED FOR LARGE SCALE ENTERTAINING. 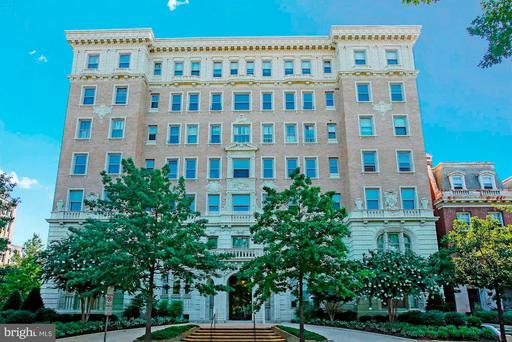 RARELY AVAILABLE OPPORTUNITY TO BUILD A MAGNIFICENT HOME IN THE CENTER OF DC WITH MAGNIFICENT VISTAS OF THE PARK.RENDERINGS AND PLANS ARE ARCHITECTS CONCEPT ONLY ! SERENE, PRIVATE SETTING WITH BREATHTAKING REAR YARD DESIGN FEATURING WATERFALL AND POOL, 7 BEDROOMS ABOVE GROUND, SIX CAR GARAGE.PRICE INCLUDES LOTS 113 AND 115 TOTALING 32,244 SQ FT . CALL LA BEFORE WALKING THE LOT. 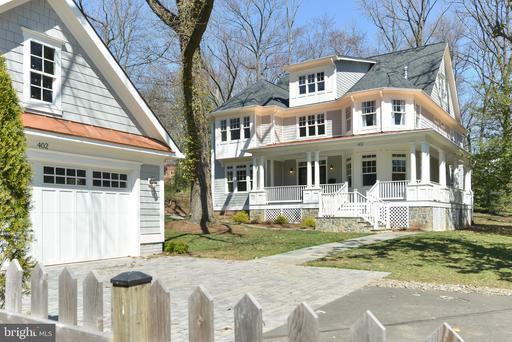 Retreat to this fully renovated, private 2.46 acre, 4BR 4Bath, deep water dream! Nautical Nantucket character, high end finishes, and move in ready! Amazing gourmet kitchen, multiple open spaces for entertaining in the home, by the pool, or on the private beach. 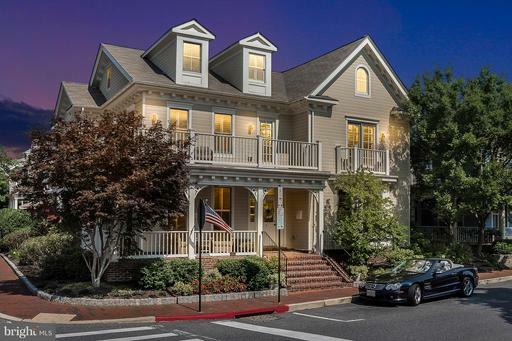 Bold and Beautiful in Historic Annapolis with water views of Spa Creek. 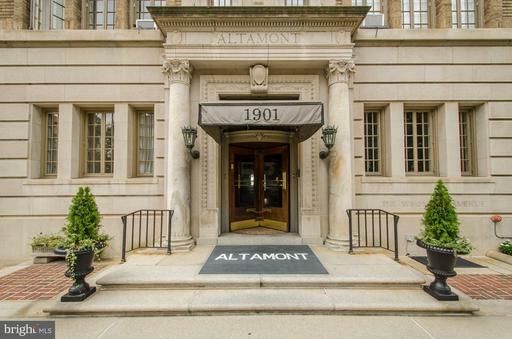 Prime location with private, rear patio and wraparound front porch Details unmatched, NYC sophisticated combined with the Annapolis lifestyle. Balconies, Patios, Private bedrooms/bathroom/ off street 2 car garage parking; fabulous kitchen and a professional office. 4-5 Bdrms; 5.5 Bthrms; LR w FP; private master w/deck. . Enjoy a protected deepwater6 ft harbor for your sailboat and views of Spa Creek from this 4 BR contemporary home. Hardwood floors, vaulted ceilings, skylights, most windows replaced, roof replaced in 2016. Deep water slip with lift, floating dock multi level decks for outdoor living with extensive landscaping. Virtually every room in this home offers an amazing Water View. From the moment you walk into the front door you are welcomed with an expansive view Crab Creek that extends out to the South River and beyond. One of the most favored waterfront lots within the water privileged community of Poplar Point. Pride of ownership is evident as the original owners have maintained this home to a very high level from stem to stern. Professionally landscaped grounds, and a 172 pier with deep water slips for multiple boats. Geothermal HVAC and much more. 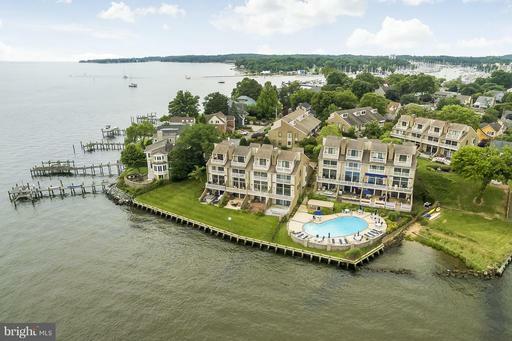 An outstanding location for the commuter, while convenient to all that Annapolis and Edgewater have to offer. Poplar Point is located on the North Shore of the South River. Absolutely everything has been done to satisfy the most discerning buyer. Highly prized location on the Tysons side of the Town of Vienna. Stroll to Vienna shops and restaurants, just .3 miles to Clarity, Bonaroti or Anitas Mexican Restaurant. Shopping abounds at Tysons I, Tysons Galleria, Mozaic district and the downtown Vienna shops. From the first glimpse of this home with its gas lanterns, stone column and picket fencing, and front porch, you see this house is something special. This home offers 5 bedrooms on the upper level with all bedrooms having private access to a bath. The elegant master bedroom with reading lights, hardwood flooring and custom design rug, Tray ceiling with custom lighting. The master bath is a real treat starting with the heated floors! The separate shower and classic freestanding tub calls you to soak away your cares. Hot water is recirculated to the Owners bath so no waiting for hot water! The main level has the perfect flow for either casual family gatherings or elegant entertaining. Excellent workmanship is evident in the moldings and carpentry details. The family will love the spacious mudroom with a shower station for the family pup. The kitchen is top of the line with two dishwashers, a separate freezer and refrigerator and a beverage refrigerator. Beautiful granite and classic back splash combine to make this kitchen as beautiful as it is functional. The butlers pantry with a beverage refrigerator makes entertaining a snap. Designer sconces in the dining room along with custom built ins and craftsman style wainscoting provide an enchanting dining experience. The open floor plan flows from the kitchen to the family room with its coffered ceiling and custom lighting. A warming gas fireplace with stone surround complete the room. From the kitchen, the deck and garden is in plain view. The composite deck is large enough to host a inviting seating arrangement and looks out over the lawn, garden, patio, stone seating wall and built in fire pit. The lower level is time for fun and games! A large family room with its gas fireplace and game area all serviced by a wet bar complete with dishwasher, beverage fridge and cedar lined temperature controlled 500 bottle wine cellar. A full bath and bedroom is perfect for guests, Au pair or the in-laws. A large bonus room might be the perfect media room, gym or craft room! Price Reduced! Piedmont Serenity in Orange County Hunt Country! Enjoy your private and exquisitely elegant stunningly decorated French Country residence on 56 rolling acres. Relax w/guests by the pool, or entertain in formal living dining areas or casually in the airy breakfast solarium spaces. You retire to your sumptuous master suite, while you host friends in the full guest suite. 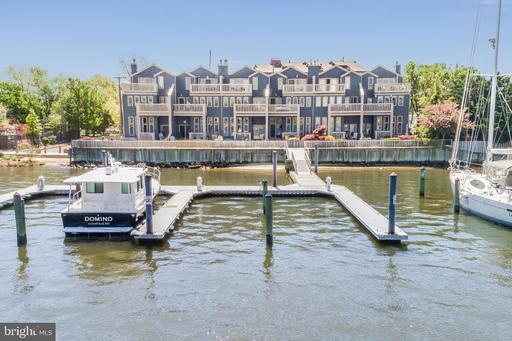 Unparalleled views of the The Severn River, Chesapeake Bay and Naval Academy on Spa Creek from this completely renovated professionally designed End unit Townhome in the coveted Horn Point gated community. Approx 2800 sq ft+ of superb finishes and features. This is lock and leave luxury living with the ability to walk to everything in Eastport and Downtown Annapolis. Waterside pool on premise. It is with great pride that we present this exquisite, beautifully appointed, custom built executive estate, perfect for year round entertainment possibilities for family, friend and business associates. It is truly "One of a Kind" in style, quality and craftsmanship. It IS "Your Forever Home"! In addition to five bedrooms, including four en-suites with walk-in closets, the nearly 13,000 SF custom home includes: an indoor, heated swimming pool with cathedral ceilings, faux wood beams and floor-to-ceiling custom windows; a 3-Season screened solarium with access to the pool, main level, and expansive patio and backyard; a two-lane, regulation-size Brunswick Bowling Alley; and Home Theater/Media Room and Bar. The 3-level home also features hand scraped, hardwood floors throughout, a large, gourmet kitchen with an expansive center island, large dining room, living room, several family living areas, seven bathrooms, four gas fireplaces, elevator, custom designed closets, security cameras, and a sophisticated security system. 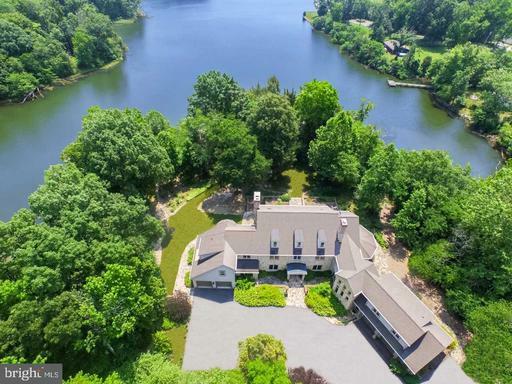 Nearly three acres of the fenced-in ten+ acre property has been professionally designed with landscape and hardscape to blend seamlessly into the woods and trees beyond, including water access to the Occoquan River. The property is accessed securely via two wrought iron gates.Additional custom features include: Main level, open floor plan with state-of-the-art gourmet kitchen with commercial-grade Thermador appliances, including Range, Wall Oven and Microwave, built-in column style refrigerator and freezer; walk-in pantry, second refrigerator; granite countertops; porcelain farm-style sink and hammered copper bar sink; built-in Thermador column-style wine refrigerator; upgraded cabinetry, and a separate Eating Area with bay window .Main level also includes a Master Suite complete with an expansive walk-in closet, with access to the patio and backyard; Second-Master Suite; Laundry room; Powder Room; Library with fireplace and built-ins; and, a Great Room that leads to a covered porch onto the large patio and gazebo area. The Upper level includes a family room with wet bar area, featuring a hammered copper sink, refrigerator, and upgraded cabinetry; covered Balcony overlooking the backyard; second laundry room, a second walk-out balcony that overlooks the front yard; and an expansive bonus room. The Lower Level includes an open Home Theater; custom bar with hammered copper sink, refrigerator, exotic granite and separate pub style seating; 2-lane regulation bowling alley; home gym with mirrored wall and cushioned, rubber flooring; full bath; and a craft / shop area complete with a full-size sink. The home was designed to Age in Place, with features including, but not limited to: an access/egress ramp that integrates seamlessly with the hardscape; elevator, wide doorways, door-free walk-in showers; and lever-style door handles and faucets throughout. Added protection with a whole house Generac generator system. The home was built in 2014 by Mike Garcia Construction, Inc., Woodbridge, VA; Architectural Design by Sandhya Gorur, AIA, Another Angle Design, Centreville, VA; Interior Design by Lorna Gross, ASID, Lorna Gross Interior Design, Bethesda, MD. The home was featured in the 2015 January / February issue of Home and Design Magazine.This is a spectacular property designed to complement and incorporate the surroundings, emphasizing the elements of wood, stone and light, and maximizing the views of nature with a nearly 360-degree view of the property grounds. 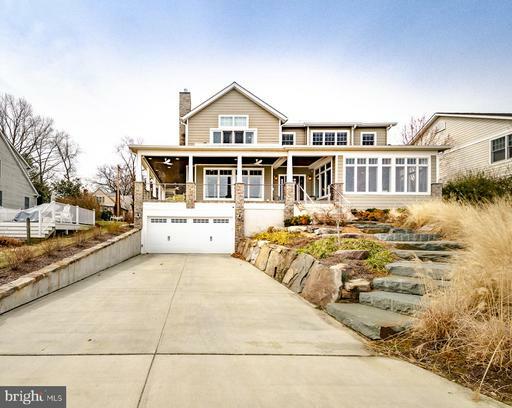 It is perfect balance with quiet, wooded surroundings, incredible quality, and unlimited opportunities for entertaining family and friends, all the while being close to major transportation and everything that the Washington DC area has to offer. 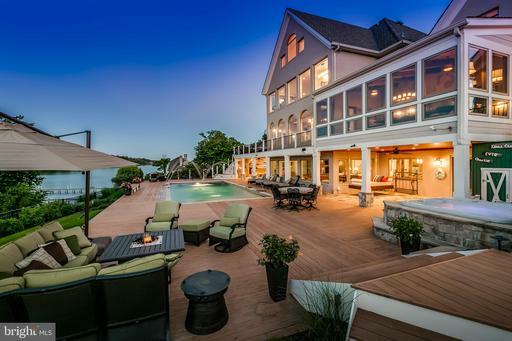 Create your own life style in this Luxury Waterfront Home on Kent Island! Floor to ceiling windows over looking Eastern Bay. 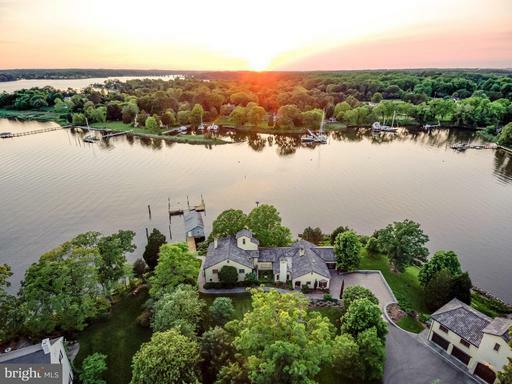 A separate,guest house,total of 5 car garages,custom wrought iron staircase,radiant heated floors are just a few details of this spectacular home Nature abound on this property,expansive views,450 feet of waterfront private 5 acres.Close to Restaurants,22 miles to Annapolis. 27.62 TREELINED ACRES OF PRIVACY,BEAUTY,FORESTED VISTAS,AND AWESOME SUNSETS.THIS PROPERTY BOAST A PRIME LOCATION WITH DIRECT ACCESS.TO STATE PARK AND BORDERED BY PRESERVATION LAND.THIS COULD BE YOUR PERSONAL OASIS,YOUR FAMILY COMPOUND,OR A DEVELOPMENT INVESTMENT WITH POTENTIAL SUBDIVISION OF SIX + HOMESITES.IMAGINE YOUR FUTURE AND HAVE YOUR DREAMS REALIZED. 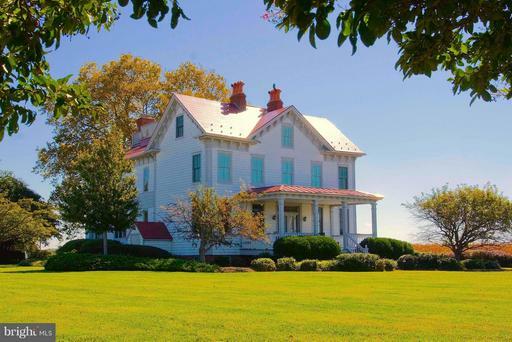 Beautiful Kent Island, Waterfront farm on 28.97 acres. This property is position on a point with 3,000 plus ft. of waterfront. Dramatic entrance with custom stair case, soring wall of windows with breath taking expansive water views, that creates a stunning entrance impressive living room. Custom built home by Lindal Cedar homes, 7852 sq. ft. home, 4 bedrooms, 5.5 baths, 4 fireplaces 4 car attached garages. There~s a barn with stalls, a potential care takes residences needing rejuvenation. Deepwater with 6ft at pier two rivers come together at the point Thompson creek Cox~s creek, creating this one of a kind property. This property is currently farm for crops plus two hunting blinds. Amazing location, this home has public water sewer. 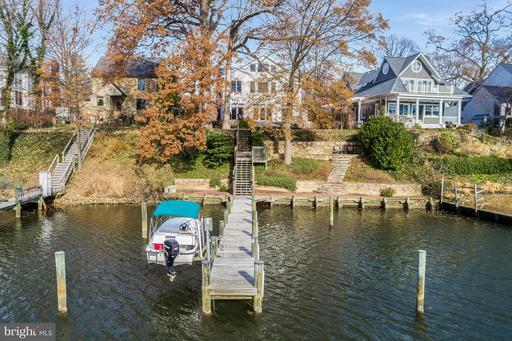 With unobstructed views of the Chesapeake Bay as your front yard, this quintessential Annapolis home offers unmatched warmth and quality in the one of the most desirable waterfront communities in Annapolis. Over 5,000 finished sq ft of custom-built living space includes 6 bedrooms including owner suites on the main and upper levels, 4 full bathrooms steam shower in the upper master, and 3 half bathrooms one on each level. Main level offers a chefs kitchen complete with Wolf Range, SubZero refrigerator, 2 dishwashers, a built-in coffee/espresso station, dual sinks including pot-fill faucet, and more. The open concept allows for spectacular Chesapeake Bay views throughout the main level, the Bay Bridge is quite literally your backdrop. 4 bedrooms upstairs one used as office w/its own half bath, and a finished basement that includes a huge great/family room, half bathroom, and a guest room w/full bathroom. A custom 9 zone hvac system keeps all levels at the perfect temperature, at a fraction of the cost of standard systems. From the moment you step in the inside entrance to the basement from the garage into one of two flagstone-floored mud rooms, the floor plan flows beautifully. The whole-house including garage Bose sound system app-controlled welcomes you home as you ascend to the main level and look across the open Bay. Spectacular. The community amenities including a pool, beaches, clubhouse, marina, and much more. This home is truly a must-see, and an opportunity that seldom comes along! Unit under contract, includes private terrace. The Sage on Belmont. Stunning south facing units with city monument views in eight unit boutique building. 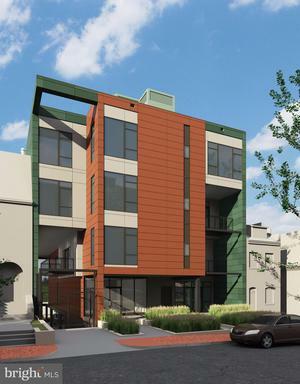 Two units per floor, multiple exposures, Almost 10 foot ceilings, premium finishes, steps to Meridian Hill Park and 14th Street corridor. Parking available for $40,000 per space. Delivery first quarter of 2018. Clifton. Historical Heart. Modern Beat. A Masterpiece of unlimited opportunities for entertaining enjoying the finest of Todays Living! Over 12,000 square feet includes a 3-level East Wing 5 Garage Bays. Grand circular Foyer, Banquet-size Dining Room, Chefs Kitchen with Refreshment Center. Exquisite craftsmanship and custom details at every turn. Take the Party Outside to expansive Deck Patio with Pastoral Backdrop. WATCH TruPlace Tour with Drone Aerial! Magnificent Home built in 2017! Welcome to Country Living in the City! 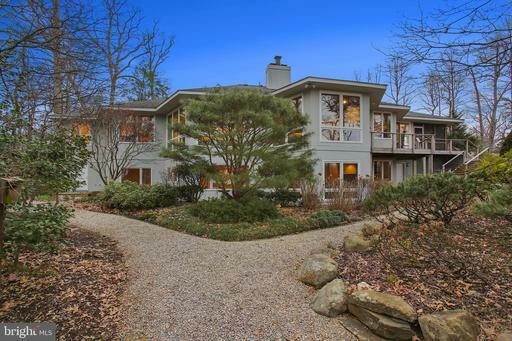 20,000 Sq Ft wooded lot with mature trees is the ultimate in privacy and seclusion. Interior boasts 7,000 sq ft on 4 levels. True Gourmet Kitchen has Wolf, SubZero appliances, Butlers pantry with wine fridge and a huge walk-in pantry. Custom Millwork including coffered ceilings, paneled wainscot, crown throughout. Library, Separate Dining Room. Huge MudRoom. 6-8 Bedrooms, 5 full + 2 half-baths. Master suite w/ marble bath, separate shower and soaking tub. 2 walk-in closets. 3 other bedrooms and 2 full baths on second level. 3rd Floor has Loft area and two others rooms perfect for bedroom, office, art studio, etc. Finished basement w/ high ceilings, two more Bedrooms or exercise room or office, plus full bath and half bath. 2-car detached Garage. 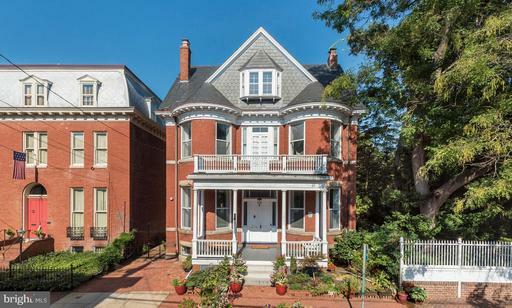 MacArthur School, walk to Bishop Ireton, minutes from St. Stephens! Back to multiple multimillion dollar properties with generous lots. Privacy galore. Great opportunity! 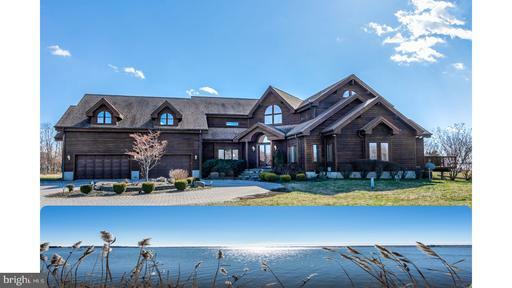 Competitively priced Chesapeake Bay waterfront water view home with private pier. Mint condition with stunning recent upgrades in excess of $1.5 Million! Fabulous waterviews of bay and tidal Chase Creek pond. Finished sq. footage of over 6400 sq. ft. Open floor plan with 5BRs/4 baths, cook~s kitchen with top of the line SS appliances, red oak hardwood floors throughout, striking fireplace with stone mantel in great room, high ceilings, custom moldings, whole-house sound system, multiple decks, 2-car garage elevator ready. Priced below 2/1/2019 appraisal by Glenn Staples! Some photos are virtually staged. The Twin Towers of the Chesapeake Bay are under construction. The water views are exceptional. The craftsmanship and quality are an engineering marvel. A one of a kind home on the water features five stories of finished living with an elevator. Call for your personal tour. Extraordinary new price! Towering East Capitol Street residence literally steps to the US Capitol... featuring soaring ceilings, original pine floors, uniquely-detailed pocket doors, crown molding medallions. Embassy-sized salon dining room are designed for large-scale entertaining! Expansive rear deck patio with great indoor/outdoor flow. Four large bedrooms + 2.5 bathrooms in main house spacious 1BR in-law suite with tall ceilings and good light. An incredible value at the nexus of power prestige. Attention to detail defines this stunning Walnut Grove custom built home in highly desirable school district. Situated on a flat acre and backing to preserved land, every option inside and out has been thoughtfully designed. Generous spaces allow room for family and entertaining without losing the warm sense of home. Greeting you as you approach is mature landscaping and a beautiful facade built with the highest quality materials. As the heart of the home, the gourmet kitchen is open to the two story great room and features a massive island with seating, a separate breakfast nook, connected mudroom with side entrance, and transitions to the screened porch and outdoor living space. Anchored by the heated saltwater pool and spa, you will never grow tired of spending time in this backyard oasis. Whether you~re lounging by the waterfall, cozying up by the fire in the outdoor living room, or kicking the ball around in the large flat grass area, there is something for everyone. And with outdoor lighting, underground irrigation, and a Sonos sound system your yard remains stunning day or night. Back inside, the upper level features a lovely master bedroom with dual walk-in closets and master bath, living room, laundry/craft room, and three additional bedrooms with attached baths. 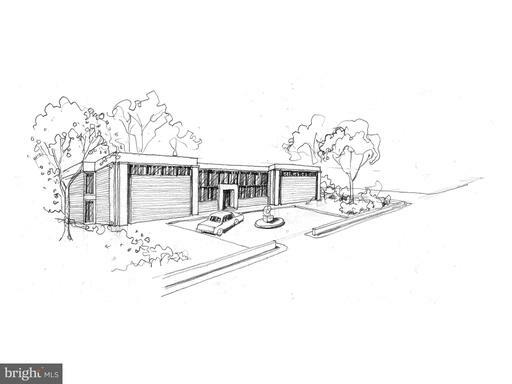 Additional private living space will be found in the 750 square foot apartment above two of the four car garages. This au-pair/in-law suite features its own entrance from both the garage and the outside. Perhaps the most wonderful surprise in this gorgeous home is the finished lower level. Watching the big game or a favorite movie has never looked as amazing as it does in the custom nine speaker theater room with multiple levels of seating and superb finishes. Separate workout room, custom bar entertaining space, gas fireplace and another full bedroom and bath make the basement another full level of living. With just too many features to list and exquisite finishes throughout, this home is a must see for the discerning buyer. NEW LISTING! Southwest exposure with sun pouring through 23 custom Pella French casement windows that fill the home with light. Open floor plan allows for easy everyday living and good flow for entertaining. 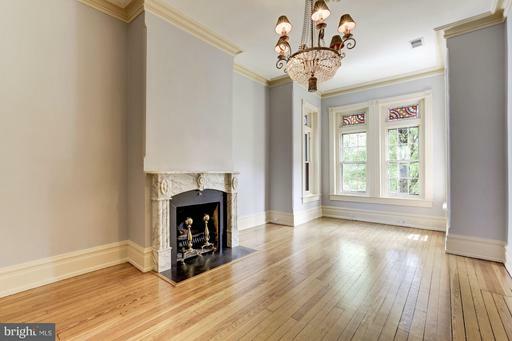 Fully renovated including electrical, wide plank oak floors, plumbing, Carrara marble baths. High-end appliances including two Liebherr fridges, Thermador cooktop and oven, and microwave, new Electrolux washer and dryer, Bosch dishwasher. Two marble fireplaces. LOTS of storage throughout, including walk-in cedar closet in the owner~s BR and large laundry room/butlers pantry. Wired for sound throughout. Assigned parking space conveys. 24hr desk. Re-done fabulous roof deck w/designer furniture great views. Each bedroom has en suite marble bath. See floor plan re: 3rd bedroom - custom opaque glass doors can be open for living, and closed to create bedroom w/closet en suite bath for guest. Easy to show. Fine Flemish bond brick Queen Anne Victorian. Center hall w/excellent flow-rms for every purpose.Restored plaster,highest ceilings,medallions,heart pine floors. 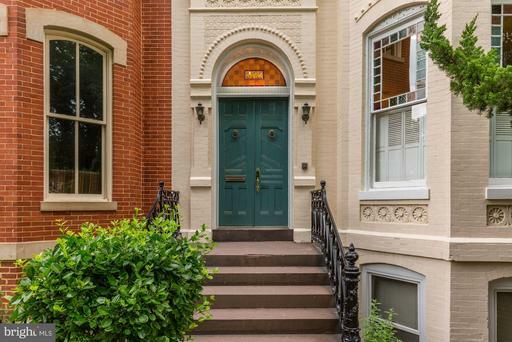 Original interior shutters/windows/staircase/vestibule/sliding interior drs/front dr porch.Elegant original updated w/tile baths, heating/cooling,sprinkler system, great kitchen, wine cellar.18thc garden wall in rear.Best location! Murray Hill - Spa Creek Waterfront! Gracious colonial with open floor plan and 3-story addition on waterside. Updated kitchen and baths -- cooks kitchen with 6-burner Viking stove, granite counters over gleaming wood cabinets. Baths with granite and glass. MBR suite has spa bath with gorgeous shower, walk-in closet and office nook. Adjoining 2nd floor family room overlooks Spa Creek. Private pier with 5-ft MLW. Great opportunity -- first time on market in 20+ years! Pages: 37 Page: 1 2 3 4 5 6 7 8 9 10 11 See more homes at one time! Change to 10 12 30 40 50 70 100 150 homes per page.